The fae of the woods are well-known for their love of all nature. When they go to battle, their armor and their weapons reflect this, and so too do their accessories. This Woodland Bark Frog is one piece that emulates a natural style. This frog is hand-crafted here in our shop from quality 7/8 oz. 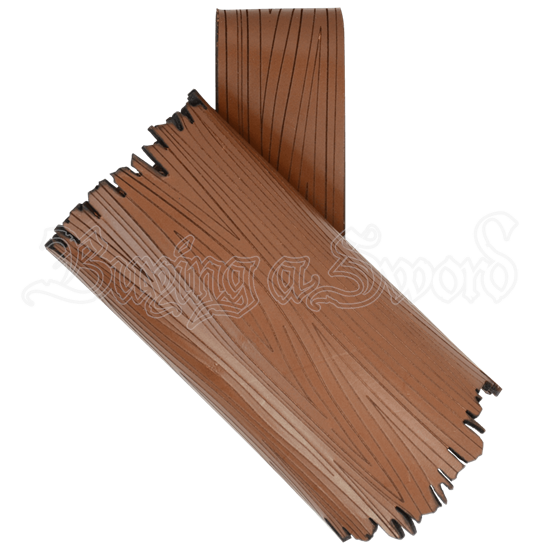 leather, with a versatile, open design that easily accommodates most LARP swords with ease. It consists of a tube that is textured, styled, and colored to look like tree bark, attached to a belt loop. For that natural appeal in your LARP look, this Woodland Bark Frog is the perfect accessory to include.